As Conference groups organized for the new leadership quadrennium, 2017-2020, get-acquainted games and goal-setting were part of their strategies. 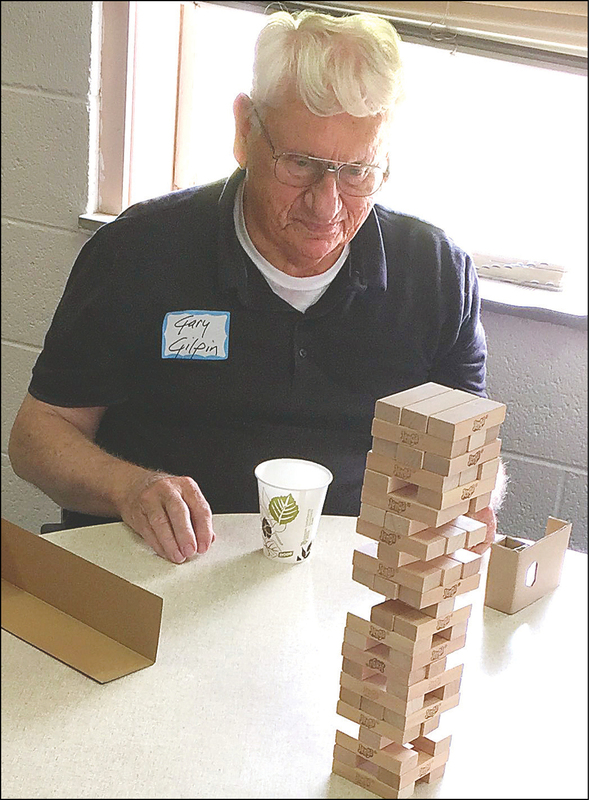 Right: member Gary Gilpin contemplates a Jenga move, during a Discipleship Ministry Team (DMT) retreat. Above: As the Leadership Development Ministry Team (LDMT) met, this group donned silly hats. From right are member Susie Pierce, co-chairs Audra Fogle and Adam Shahan, Scott Spencer of the Commission on Religion and Race, and member Janice Sharp.